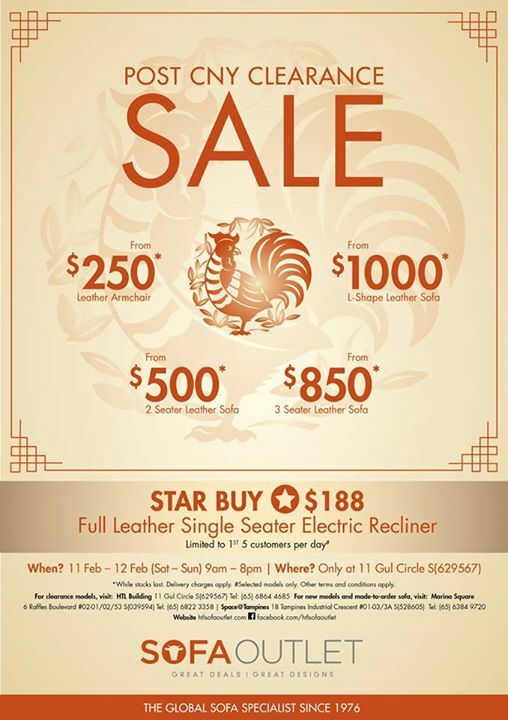 Post Chinese New Year Clearance Sale happening now! Hurry down to our showroom today and choose from our wide array of leather and fabric sofa designs. Warehouse clearance sale is only available at 11 Gul Circle. Next: [DrGL] To all the sweethearts out there, enjoy 11% off on all regular products using code: ILOVEDRGL Exclusively at www.DrGL.